If you haven't been out home shopping lately, you might not be aware that multiple offers still exist in the marketplace every now and then. Maybe not the crazy multiple offers we were used to seeing just a couple years ago, but I find that I am in multiple offer situations more often than not on properties I write offers for with my buyer clients. But believe it or not, there are still examples of crazy multiple offers in all price ranges on the Westside every week. 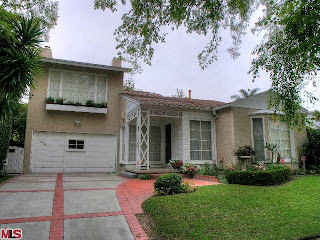 The last example of crazy multiple offers in Westwood came a couple weeks ago at 1915 Fox Hills Dr, LA CA 90025. According to the MLS, the home is a 3 bedroom / 1.75 baths, 2,000 sq ft of living space on a 6,000 sq ft lot. Even though most would classify this house as a fixer, the home featured a nice tree-lined location, ~2,000 livable square feet and a beautiful green backyard. But pricing the home competitively at $949,000 was the kicker that started the flood of interest. Lack of decent inventory at this price range sparked a bidding war as offers starting coming in right away. Ultimately, the number of offers came in somewhere in the teens. When the home closes, I will make sure to post the price and we will see how far over the asking price it went.